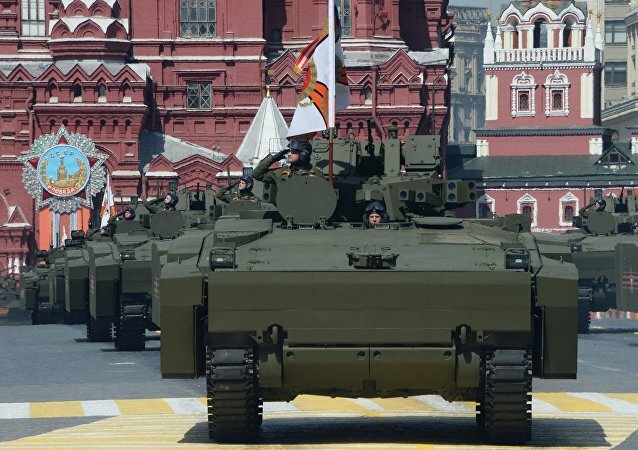 MOSCOW (Sputnik) - Russia is developing a new advanced gun system for tanks based on the Armata heavy military tracked vehicle platform, the Defence Ministry’s thematic bulletin said on Tuesday. Systems of active protection for tanks and other armored vehicles are growing in popularity around the world. Russia’s Armata tanks and armored vehicles are to receive mobile power stations to ensure immediate and smooth engine starts at temperatures of even minus 50 degrees Celsius. In addition they will receive stable turret movement, weapons stabilization and fire control. 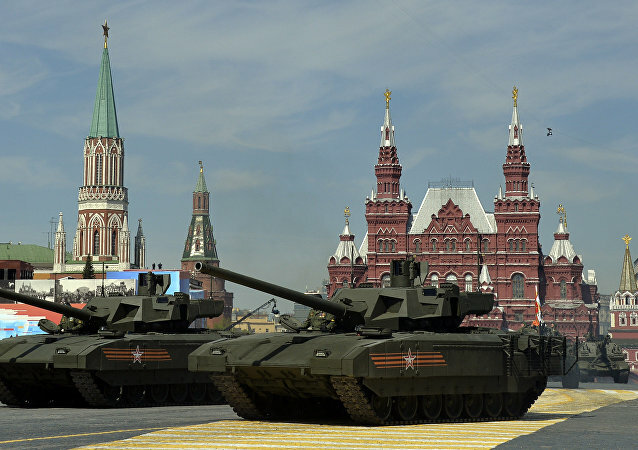 The T-14, better known as the Armata, is the only postwar third-generation tank in the world. This unique Russian invention featuring Russian-made components alone remains unaffected by sanctions. Under Control: What is Putin Discussing With Generals and Defense Company CEOs? While in 2017 the share of modern weapons in the Russian military reached 58.3 percent – an 11 percent increase from the year before -– this year’s figure could be lower due to the current defense spending cuts. Russia's 2018-2025 state armaments program will focus on nuclear deterrence, aerospace defense and “smart weapons systems.” Deputy Defense Minister Yuri Borisov said that defense contractors had been tasked with making sure that the Armed Forces are 70 percent equipped with modern weapons. Daesh has identified a weak spot in Germany's legendary Leopard 2 battle tanks, and has destroyed ten of the machines used by the Turkish Army in northern Syria, the German newspaper Die Welt reported. The high-tech Pterodactyl drones developed in Russia will be a significant boost to the army’s ground forces, defense industry expert Nikolai Kim told Sputnik. 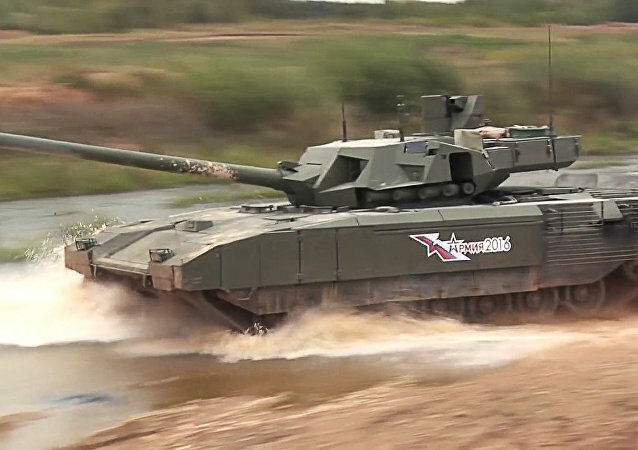 Russia's new T-14 Armata tank is a breakthrough invention in the military field and has caught the West by surprise, German magazine Stern wrote. Russia’s advanced combat vehicles built on the Armata platform will be equipped with surveillance unmanned aerial vehicles (UAVs), which will be scanning the battlefield for dozens of miles around, helping to clarify the situation and guiding rounds to targets, local media reported Friday. 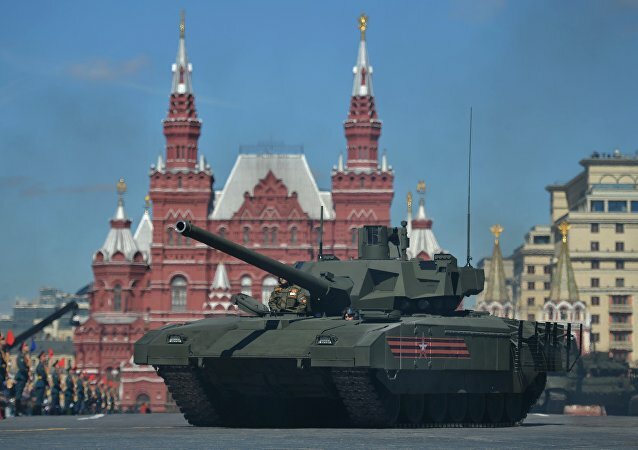 UK military intelligence said in a five-page report that Russia’s T-14 Armata advanced tank is the most breakthrough step in tank design during the last 50 years. 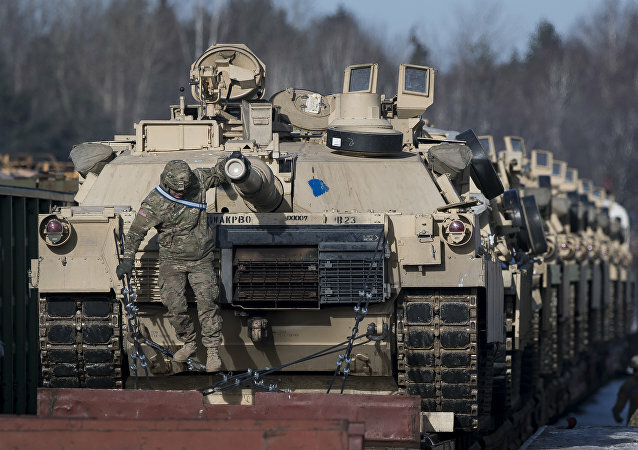 The US Department of Defense has struggled to readjust to major budget cuts on military spending imposed in recent years, which among other things has apparently led to the US Army lacking the funds to develop and produce next-generation armored vehicles to the M1A2 Abrams and the Bradley Fighting Vehicle (BFV).